MULTI USE BUILDING. MASSIVE COMMON AREA W/SMALL LOFT. PRIVATE SUITES ALL AROUND BUILDING W/ACCESS TO COVERED PATIOS. SUITES HAVE FULL BATHROOMS & SOME KITCHENS. HAS SERVED AS OFFICES AND SENIOR LIVING. NEW ROOF. ADDITIONAL ACRE AVAILABLE. SELLER IS OWNER AGENT. 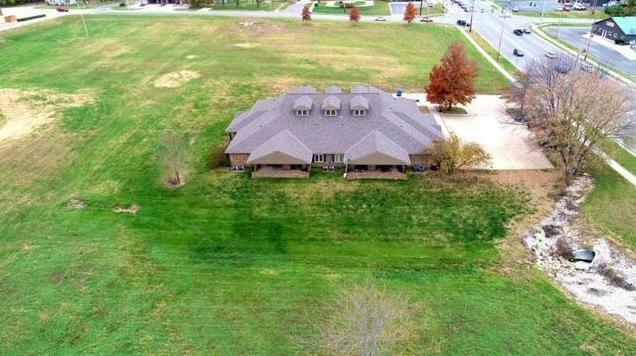 105 E AMITY Street (MLS #2140827) is a commercial listing located in Louisburg, KS. This property was listed on 12/06/2018 and has been priced for sale at $799,999. Nearby zip codes are 64734, 66013, 66071 and 66223. This property neighbors other cities such as Bucyrus, Cleveland, East Lynne, Overland Park and Paola.